Welcome to Milton Hyundai, your Signature Certified Hyundai dealership in Milton, Ontario. 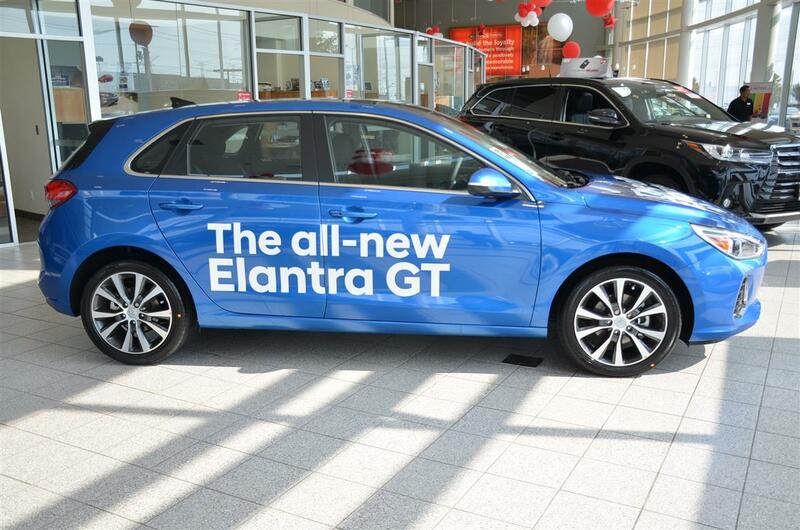 We are presenting The All New 2018 Hyundai Elantra GT. You can find all the relevant information below. Enjoy! 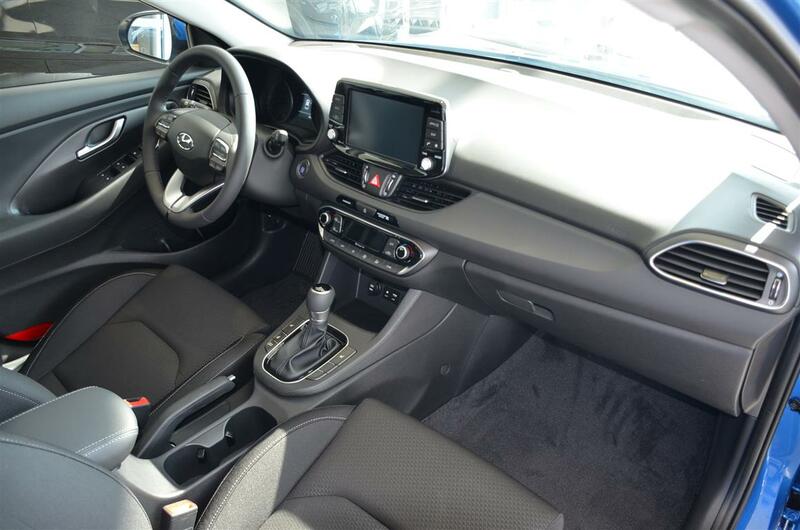 The Elantra GT is Hyundai’s most versatile hatchback and is loaded with all the latest safety and technology features that provide the most efficient performance and impressive style. 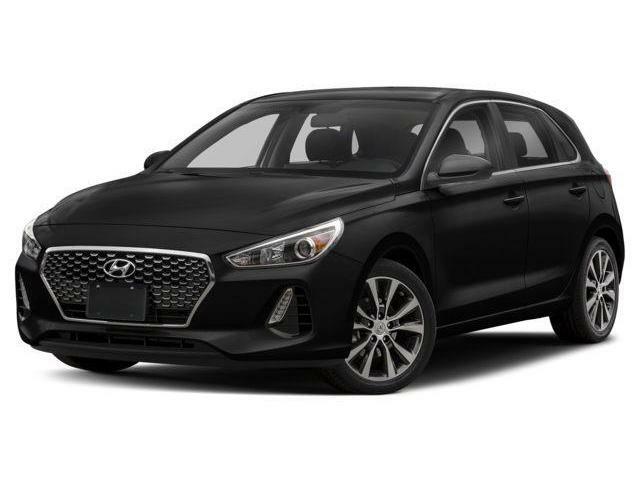 The 2018 Elantra GT has a bold and dynamic design with a fluid, stable exterior that features Hyundai’s new cascading grille design. The form and detail of this newly designed grille is inspired by flowing molten steel and creates a powerful impression of both strength and movement. The Elantra is built with unmistakable bold looks, from its full LED headlights that cast a brighter and longer light beam to its LED tail lights that wrap around the body to enhance its style and provide increased visibility day and night. Style and safety come together in the sleek design of the LED side repeaters which not only look good, but provide the added notification of your intention to turn, as well as the standard LED Daytime Running Lights that create an unmistakable presence and make your more visible to oncoming traffic. The 2018 Elantra GT features standard 16” alloy wheels with a two-tone 10-spoke design. The Sport model features 18” alloy wheels with larger brakes for sportier driving dynamics.The impressive style, space and comfort of the Elantra’s interior features more cargo room than the Civic, Cruze, Golf, Mazda3 and Focus hatchbacks. 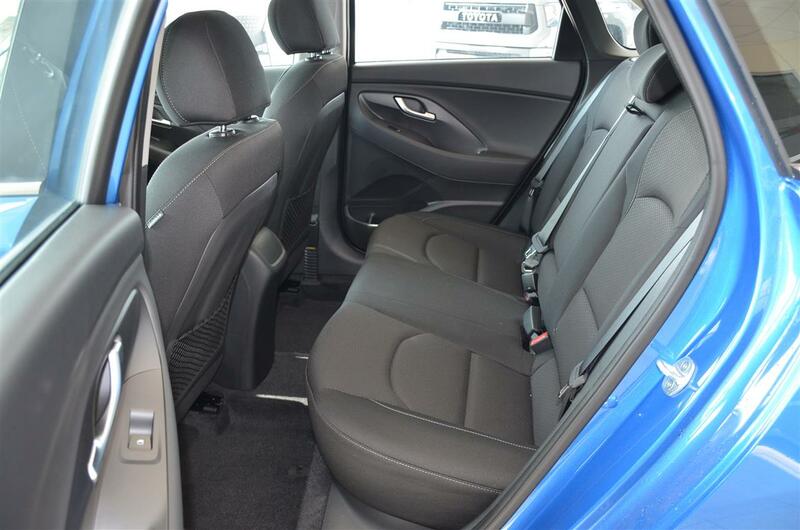 Equipped with standard heated front seats and a heated leather wrapped steering wheel, as well as available ventilated front seats and panoramic sunroof, the Elantra GT has all the comfort and convenience you need in your ride. Dual-zone climate control is also available for optimal comfort and control.Clever ergonomics and design allow for comfortable space inside for 5 as well as sufficient cargo. 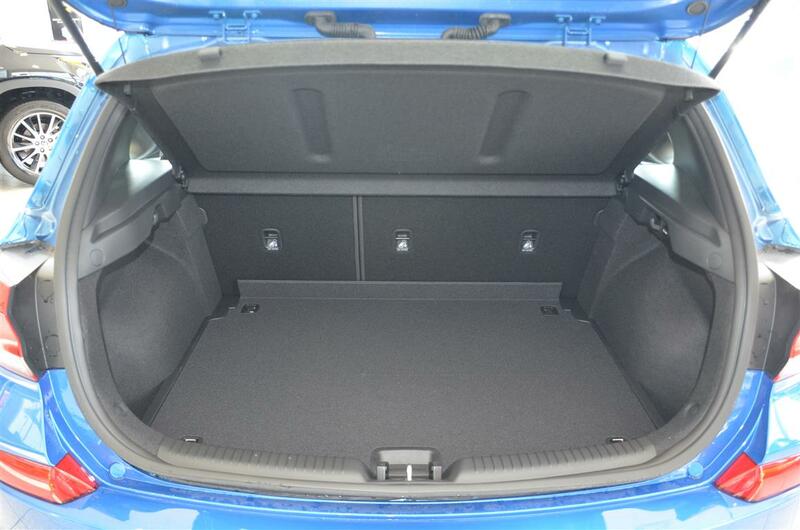 The rear seats can fold down with a 60/40 split or can be folded down completely flat to allow the highest storage versatility that you may require. Exclusive red stitching, red seat belts and detailed red piping on the bolstered leather seats add to the full sports style of the Elantra GT Sport model.Underneath the hood, the engine has a fun, sporty driving character that includes its standard 2.0L GDI 4-cylinder Injection engine which delivers 162 horsepower and 150 lb-ft torque. The Sport model is powered with available 1.6L Turbocharged engine with 201 HP and 195 lb-ft torque. A 7-speed Dual Clutch Transmission is also available. This sporty hatchback gives you precise and responsive handling that delivers a rewarding driving experience, whether it’s for your day to day commuting or for your weekend adventures.Efficiency is also top of mind with the 2018 Elantra GT. The available Drive Mode Select system in the Elantra adjusts both throttle response and steering effort to match your preferred driving style. You can choose from Eco, Normal or Sport, all by simply pressing a button. 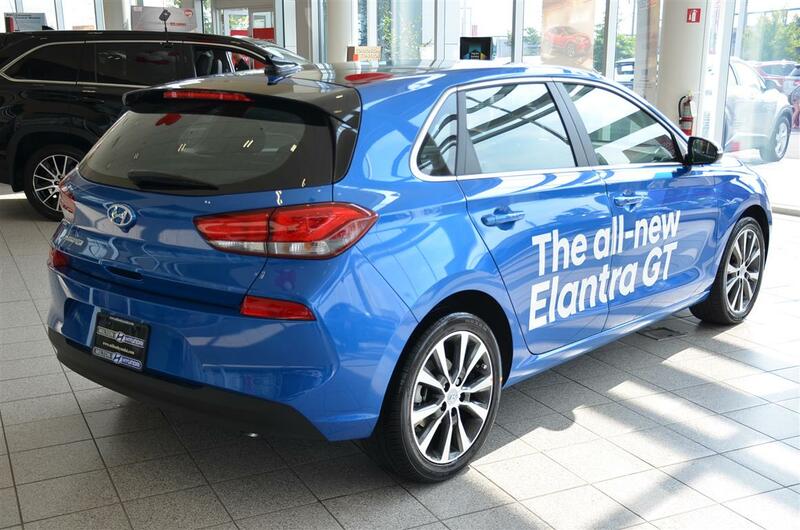 The sporty lower front fascia has integrated front wheel air curtains, which help control air flow from the front of the vehicle and around the wheels to minimize wind resistance and resulting in greater fuel efficiency.The 2018 Hyundai Elantra GT is full of the latest technology, including a standard 8-inch Display Audio with Android Auto & Apple CarPlay, Standard rearview camera, Standard Blind Spot Detection system with Rear Cross-Traffic Alert, Available 8-inch Multimedia Navigation System with Blue Link, Available Infinity premium audio with 7 speakers and available wireless charging for compatible phones.Leading its class in advanced safety features, the 2018 Elantra GT features Hyundai’s SUPERSTRUCTURE™, which not only delivers enhanced safety, but the stronger and stiffer frame means suspension components can be tuned more precisely to enhance handling responsiveness and performance. Also included in the new Elantra GT are 7 Standard Airbags including driver’s knee airbag, available Automatic Emergency Braking with Pedestrian Detection, available Lane Keep Assist and Smart Cruise Control with Stop&Go capability and available High Beam Assist and Attention Assist. 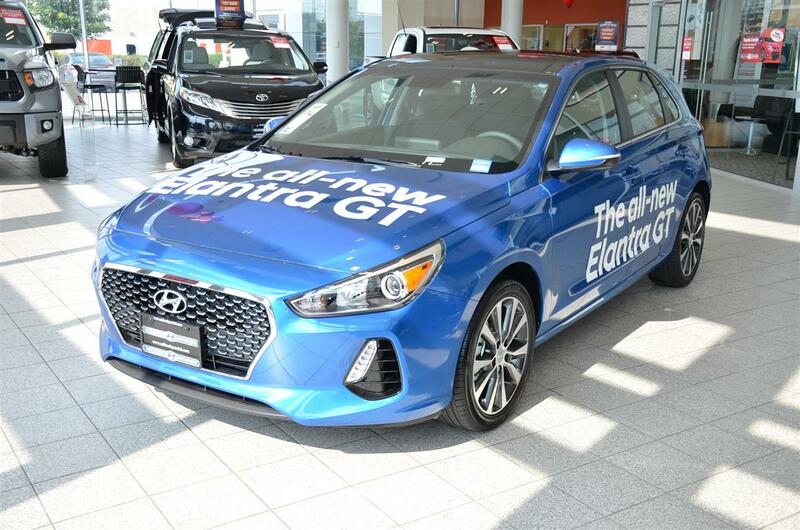 The All New 2018 Hyundai Elantra GT is available in Manual or Automatic on the GL, GLS, and Sport models. An additional Sport DCT model is available with the Hyundai Ultimate package. Engine options include the standard 2.0L and optional 1.6T Turbo engine. 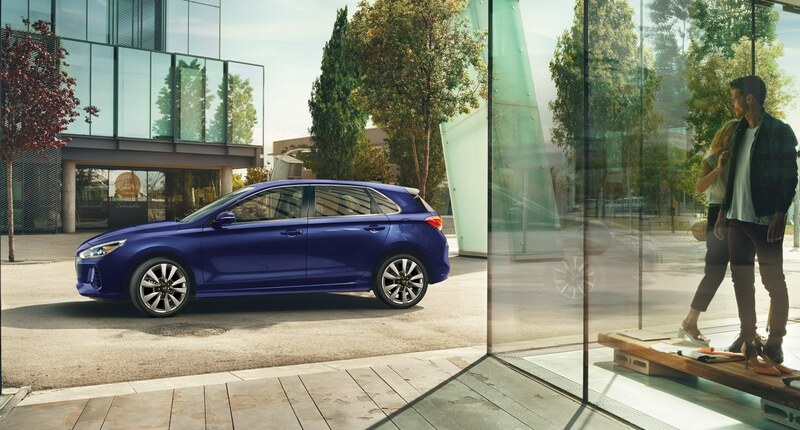 Contact a Milton Hyundai representative today to book your test drive and get more information. Browse our inventory to see if we have the model you are looking for in stock -- but remember, we can find you any configuration!